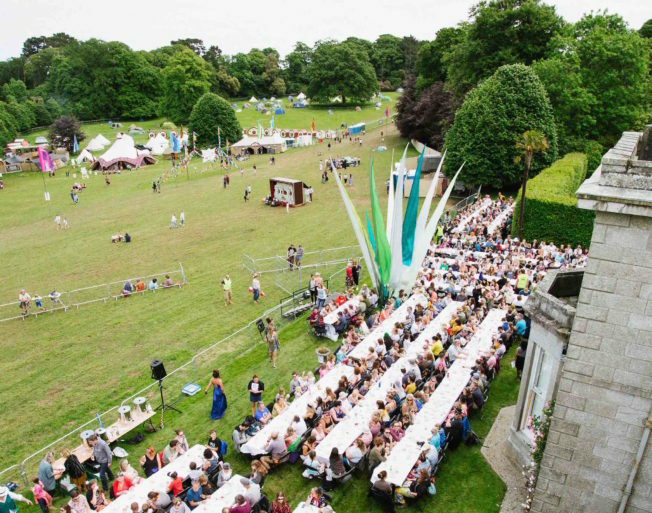 The Great Estate Festival returned to Scorrier House this June for its second year. 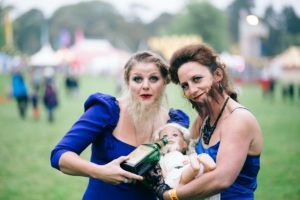 From the classic Duchy Vintage Fair to the Secret Gin Garden to the Woodland Silent Disco – here are Cornwall 365’s highlights. The first thing we look for in a festival is music and The Great Estate has it covered! With a new Stage on the Green for 2018, there was a great range of music including jazz, soul, DJs and the combination of 1920s Swing and Golden Age Hip Hop from The Swinghoppers. Dotted around the many stages we saw local favourites including Hedluv + Passman, The Grenaways and Joe Francis; the BBC Introducing Stage had up and coming talent from near and far; and, of course, there were amazing headliners The Charlatans and Craig Charles Funk & Soul Show. Last year, we saw Echo and The Bunnymen. This year we were treated to an evening of The Charlatans’ classic anthems and new hits. They, along with more from Craig Charles’ Funk & Soul Show, are cementing The Great Estate’s reputation for bringing big names to Scorrier House. We loved The Charlatans – they were just the ticket. Tim Burgess engaged with the audience speaking to them and seemingly loving the vibe. It was great to hear some classics – although they could have played for 3 hours and still missed out songs we love. 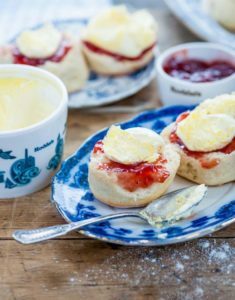 The foodie highlight of the festival was the Cream Tea World Record Attempt where over 750 people took a seat in an open air restaurant to celebrate the quintessentially British tradition of enjoying scones, jam, cream and tea in the sun (jam first – of course!). The festival are waiting to have their result verified by Guinness World Records but it looks like they’ve beaten the record and, with all profits going to The Cornwall Air Ambulance, it was a great success either way. Alongside the Cream Tea, there was a great range of food vans with everything from fish and chips to Thai street food, and the festival favourites: churros! Looking to expand your vintage wardrobe? Want a little break from the sun? The Duchy Vintage Fair was the place to be for vintage shopping, vintage tunes and great vintage fun. Plus, their pop-up vintage tea room was the place to go for tasty cupcakes and tea in cute saucers. Here at Cornwall 365, we are huge fans of a good silent disco so The Great Estate’s Woodland Silent Disco was an instant favourite for us. 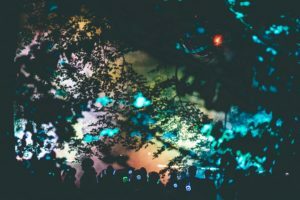 The best silent disco DJs had the woodland rocking and rolling with dance, rock, cheesy music and more – perfect to get moving and have a dance with your fellow festival-goers. 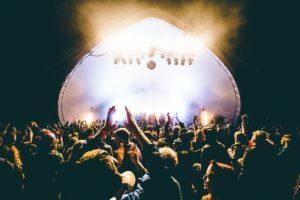 Get your 2019 weekend tickets for just £60 (plus £4.50 booking fee) at www.greatestatefestival.co.uk – see you next year!